There is a great review of two door-stopping books of poetry in the new BC Booklook. The subjects are Daphne Marlatt and Fred Wah, two members of the legendary TISH group in Vancouver, BC, in the early 60s. Nicholas Bradley is the reviewer and is very capable of guiding us through the basics on what we need to know about these two poets and their approaches. I saw the link to the review in yesterday’s Cascadia Daily. Great review! Very perceptive. Ironic how the editor chose to quote Eliot, while Bradley notes that TISH folks were NOT Eliot fans. 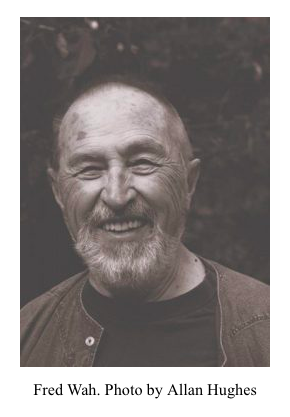 Bowering has a poem that states simply: “Cuba, sí, Eliot, no.” Warren Tallman is from Tumwater, WA, south of Olympia and his San Francisco poetry connections (& those of his wife Ellen) resulted in Duncan, Spicer and others from the Bay Area being connected to Vancouver. But Bradley’s take on these two books is astute. That Cascadia poets south of the 49th don’t know these writers is emblematic of the provincialism of U.S. poets and the need for a deep bioregional ethos. 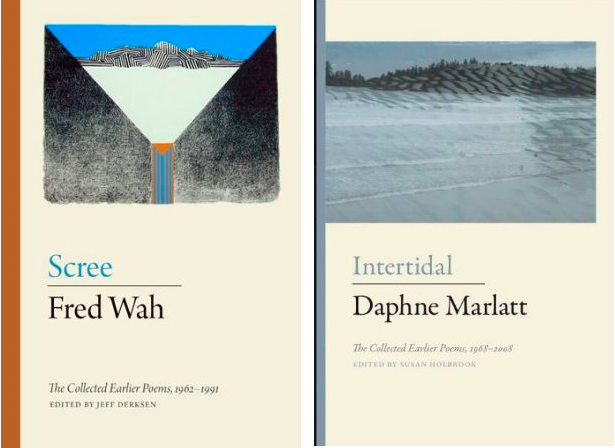 I almost wrote in the review that it is criminal that Washington and Oregon poets are so unaware of Wah, Marlatt and other legendary poets just over the border. Many people talk about “diversity” but here we have two poets, bringing their own diverse backgrounds to the task of the use of poetry as investigation and about them here we hear nothing but crickets. Bradley is right, however, about plowing through the weaker moments that any poet would have in such a large book as either of theirs and I wonder if these might be the last of the door-stoppers. When Andrew Schelling was in town, he discouraged my interest in big books like these saying few people read them. Even LOOKING at them and contemplating getting through the whole thing is daunting, but there are rewards for hanging in there until you get some sense of how a poet’s mind works, because these are unconventional poets and as that stance would indicate, employ a deeper consciousness than your typical poet, USAmerican or not. 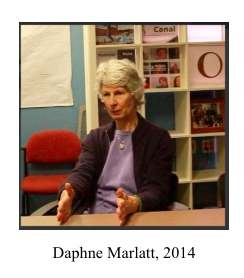 My 2014 interview with Marlatt is here. I’ve yet to nail down a time to sit and record a chat with Fred Wah, but he’s on my list. That Cascadia Daily has been at it for one year and is bridging the gap between poets and other culture-workers in the two nations (which almost feels like three when you count the Alaska panhandle part of Cascadia) is some of the most important work I can imagine. It’s one thing (& necessary) to resist the creeping (& creepy) fascism of El Caudillo Analfabético, but it’s another thing to work to create an ethos of HERE, as Wah and Marlatt have done for 50+ years and as Andrew Engelson is doing with Cascadia Magazine and Cascadia Daily. Consider buying these books and subscribing or even donating to Cascadia Magazine. This entry was posted in Uncategorized and tagged Andrew Engelson, Cascadia Magazine, Daphne Marlatt, El Caudillo Analfabetico, Fred Wah, Nicholas Bradley. Bookmark the permalink. Thank you. I’m a NW poet. Please keep me informed of your work. I may, or may not be, a ROBOT. Truer words, never: “That Cascadia poets south of the 49th don’t know these writers is emblematic of the provincialism of U.S. poets and the need for a deep bioregional ethos.” Even though Creeley etc pointed t Wah’s writing for years—dating back to the 60’s and 70’s, even—he isn’t known south of the 49th. A shame. Thanks for the kind comments Peter, and for reading the blog.